"Flywheel" Reviews (Apr 2019) - Why 4.8 Stars? 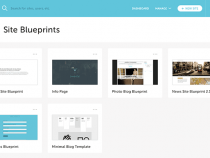 A WordPress-only host geared toward designers, developers, and creative agencies, Flywheel appeals to customers with optimized hardware, powerful dev tools, and gorgeous and intuitive user interfaces. A few puzzling limitations surprised us, but the boutique WordPress host excels with reliability, speed, and security. “A fast-growing web hosting provider laser-focused on performant WordPress hosting, Flywheel serves experienced designers, developers, and agencies a beautifully designed hosting experience with the muscle to back up the good looks. Laura Bernheim (HostingAdvice.com): This rating is not available yet. We haven't evaluated Flywheel for the "Cheap" option yet as they do not currently offer this type of hosting service. We're always working to keep our reviews up-to-date so check back later! Does Flywheel already offer the "Cheap" option? Let us know. 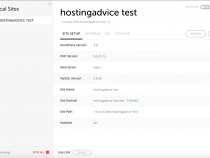 Laura Bernheim (HostingAdvice.com): This rating is not available yet. We haven't evaluated Flywheel for the "Dedicated" option yet as they do not currently offer this type of hosting service. We're always working to keep our reviews up-to-date so check back later! Does Flywheel already offer the "Dedicated" option? Let us know. “Flywheel takes an interesting approach to web hosting by giving each customer a virtual private server, or VPS. The company doesn't offer shared or dedicated plans, instead focusing on doing one thing exceptionally well. “It seems rather obvious (and repetitive) to say that a web host that solely hosts WordPress sites excels at hosting WordPress — but it's true. In addition to infrastructure optimized for the world-famous content management system, Flywheel offers several proprietary, one-of-a-kind services that extend WordPress hosting beyond traditional norms. Laura Bernheim (HostingAdvice.com): This rating is not available yet. We haven't evaluated Flywheel for the "Website Builder" option yet as they do not currently offer this type of hosting service. We're always working to keep our reviews up-to-date so check back later! Does Flywheel already offer the "Website Builder" option? Let us know. Blueprints™ save development time by packaging frequently used themes and plugins into reusable configurations when creating new sites. No more manual installations! Staging environments make WordPress and plugin updates safer. Push, pull, or merge changes between staging and production with one click. Local™ simplifies WordPress development workflows in local environments. Functionality includes SSL support, SSH access, and shareable demo URLs. Free SSL certificates provided by Let's Encrypt can be installed simply through the Flywheel interface. The company's security systems also feature intelligent IP blocking. Security is handled at the server level, meaning there is no need for additional security plugins. If malware is detected, Flywheel experts will remove it for free. Automatic nightly backups are stored for 30 days and can be restored at any time. Customers can also take snapshots whenever their hearts desire, giving users the ultimate peace of mind. Teammates, clients, and other collaborators get full access to manage the website and update files — even better, they're responsible for their own usernames and passwords. Send clients a secure payment form when you're ready to transfer website ownership. You retain full access to the site after the supremely smooth billing process. Create production-ready sites quickly and for free to show new work to clients. The demos are private, password-protected, and free until it's ready to go live. Flywheel includes the NGINX web server as a standard part of the company's stack. NGINX serves static files and acts as a reverse proxy for PHP processes, outperforming Apache. The server-side Varnish caching server is tailored for the WordPress and Flywheel infrastructure, precluding the need for additional caching plugins. Flywheel's partnership with MaxCDN helps customers get an extra performance boost with the add-on service that puts your content closer to your visitors. A perfect mix of brains and beauty, Flywheel's user interface has been engineered with developers and designers in mind. Signup and site management are smooth and efficient, with visually appealing representations of tedious, technical processes. Blueprints, or packaged themes and plugins, provide a streamlined way to set up new projects with tried-and-true components, while Local™ automates virtualization when setting up development environments on your machine. Upscale WordPress hosts, such as Flywheel, seemingly never fare well when it comes to head-to-head price comparisons with the numerous affordable shared hosting providers. Instead of comparing apples to oranges, however, customers need a more detailed approach to understanding the value Flywheel brings to hosting. The company's managed services are very competitively priced, especially considering the added perks such as one-click staging areas, collaboration tools, and hands-free security services. The plans highlighted above only cover individual WordPress installations, but Flywheel provides options for supporting multiple sites. Great for resellers and creative agencies, the bulk plans range between 10 and 30 installations, with custom options available for those seeking more. Flywheel guarantees enterprise WordPress hosting customers an above-average 99.99% uptime, but the same guarantee is nowhere to be found on the regular plan descriptions. The terms of service, however, guarantee 100% availability, not counting scheduled maintenance, required repairs, and unforeseeable outages beyond Flywheel's control. Support agents solved more than 105,000 tickets and migrated nearly 6,000 sites for customers in 2016. Customers can contact Flywheel through phone, email, or live chat from 9 a.m. to 5 p.m. CST between Mondays and Fridays. We gripe that the company doesn't have full 24/7 support but have it on good authority that Flywheel will debut around-the-clock support by the end of 2017. Wondering how Flywheel stacks up againt other web hosting services? See our host-vs-host reviews below and compare them side by side. 3 out of 4 times. If we lived in a WordPress-only world (and who wouldn't want that? ), Flywheel would be at the top of the managed hosting heap. The company's optimized infrastructure, state-of-the-art features, and in-house developer tools make a major splash. We love the emphasis on usability with Flywheel's proprietary administrative portal, local development app, and staging area, as well as packaged theme and plugin blueprints. The lack of email hosting and domain services, coupled with the lack of true 24/7 support keep us from ranking Flywheel among the best full-service hosts, but WordPress aficionados would be hard-pressed to find a hosting company more dedicated to user experience, development efficiency, and customer success.